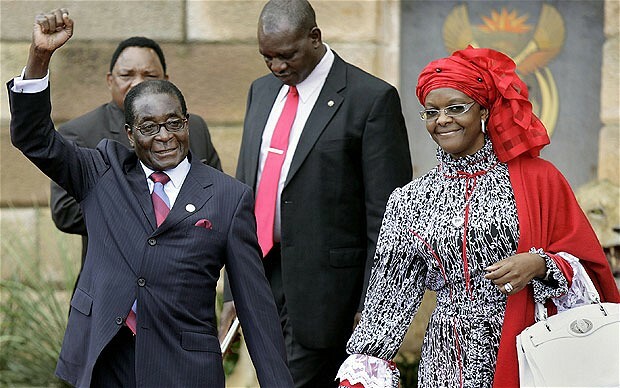 Robert Mugabe , 93, was reportedly offered a $10-million (R140-million) lump-sum payment, full monthly salary, medical cover, security as well as protection of his private properties, as part of a deal that led to his resignation. Reports indicated this week that the nonagenarian was also granted immunity from prosecution after his resignation as the leader of Zimbabwe on Tuesday. According to The Independent , negotiators managed to strike a deal with the country’s army generals to enable Mugabe not to go into exile but rather enjoy his retirement in Zimbabwe with all his benefits. “Government will give him $5 million lump-sum and then the remainder to be paid out in instalments,” the report quoted a source as saying. Zimbabweans witnessed the inauguration of their new president Emmerson Mnanagagwa on Friday after Mugabe’s 37 years in power. The 75-year-old’s first speech as leader reached out to the nation at large, pledging “democratic” elections next year. Mnangagwa also made friendly gestures toward the international community as he seeks to revive a collapsed economy after years of sanctions and corruption.